It’s not just the knowledge that made you a good trainer. It’s not just your delivery style that gave you a reputation. It’s about knowing the end results. There is no doubt that trainers bring value addition with their skills and experience, but training is made successful by trainees, i.e. when they rate them as “Good”. 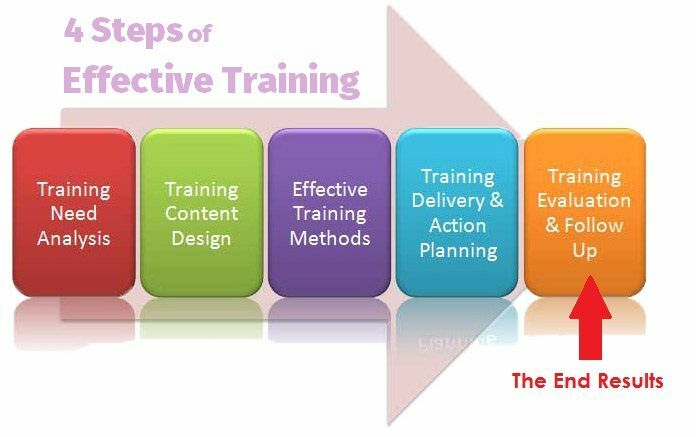 In order to make training effective, trainers need to understand how they are going to be evaluated. By sticking to the principle – “End is more important than means”, you’ll have clear understanding about what is expected of you. Trainers are evaluated on the basis of their knowledge, enthusiasm, patience, acceptance, intellect, readiness, preparation, behavior, and most importantly, the overall presentation. Organizations take this aspect very seriously. They want to know the level of appreciation (or disappointment) of trainees. This section of evaluation refers to trainee’s expectations and acceptance, level of instructions provided, duration, punctuality, quality of training equipment and material offered, training facility, and the overall satisfaction level. Singapore offers great training and seminar room rental facilities to everyone, from smallest to largest businesses. Organizations want to ensure high-end training environment. It’s obvious they’d pay to get the best training room rental facility. Now, whatever is left for an effective training rests on your shoulders. Here are some important questions related to trainer’s method of teaching. Each question has 4 possible answers, ranging from poor to excellent. Learn what’s left to make a nice impression on audience. Training Tip: the key is to keep their involvement in balance. Don’t go to deep in details; tell them about relevant sources and useful links to get details. Training Tip: Avoid annoying questions by simply saying, “I’ll gladly give my reply on this one after the class, because it has such and such details”. Training Tip: Raise your level by continuously monitoring their work during practice sessions. Tell everyone if someone finds, or asks something special (that you forgot to tell). Training Tip: To stress on certain points, refer to tips and advice of industry experts, and latest researches relevant to the field. Training Tip: This is something you have to take care yourself. But don’t be too formal to scare them away. Training Tip: start with 60/40 rule (60% of the time for lecture, 40% for practice and follow-ups) then gradually reduce lecture time to 40% in the final stages of your training. Training Tip: read about presentation skills, communication skills, management skills, time-management skills and leadership skills. In addition to these, they will also rate the overall environment and the quality of equipment used in training. Make sure the classroom rental provides nice and comfortable space for training. The management may decide to continue renting the same venue for training in future. This entry was posted in General on July 23, 2015 by .